Horsey has a last orders over on the Sidewalk website. Click here to check it out. 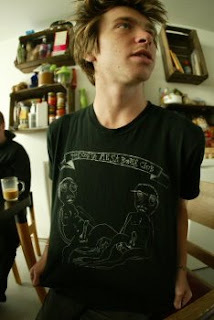 Although this is already old news over at http://www.patrickmelcher.blogspot.com/ it's new news here. If you're tired of our old news, you need to check his site more often then while you're at it check our's at least five times a day; tell your friends to check it too. 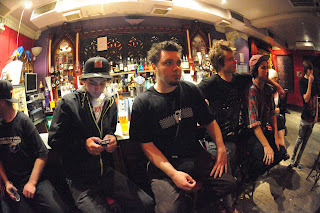 Last Sunday, "Day Release" headlined a secret last minute gig at The Trinity in Harrow. Although the attendance was low, Steak made the spirits high. It's funny how a whole bottle of JD, amongst other drinks, will do that to a person. 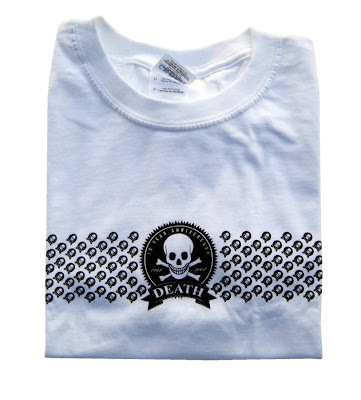 In case you were not aware, Death Skateboards celebrated it's tenth birthday this year and in order to commemorate the fact and for you to don your birthday suit, these new limited edition t-shirts are out now! Only 100 black and 100 white have been made so don't miss out. 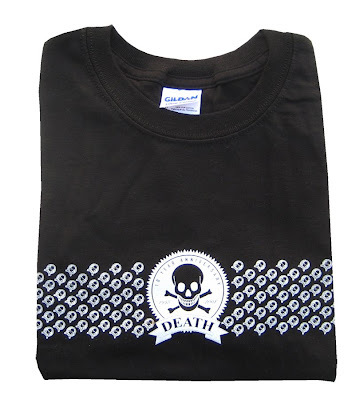 Get hold of one now from a skater owned skateshop. This video, made by Sean Goff in 1992, shows a young Andy Scott ruling on vert before some of you were born and certainly a long time before he turned pro for Death Skateboards. Also featured, and also still killing it sixteen years later, are Geoff Rowley, Alex Moul, Rune Glifberg and Tom Penny. Enjoy. The joke and the clip are stolen directly from the Square One blog. What you gonna do about it...huh? Where indeed has Mark Nicolson gone? Back in the day if he wasn't out skating he would be online and editing up all kinds of magic. For starters, he's gone and got himself a job packing shoes at Motel6. Also, he's moved in with his bird to a new place with no internet which has really thrown a spanner in the works for his blogging. We went to Belgium too and he's sitting on a lot of amazing photos(see below). Here he is on the ferry with two of Harlow's toughest residents. When we try and go skate it snows. 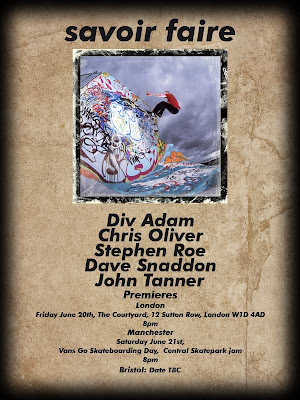 A new, long awaited, UK skate DVD entitled Savoir Faire is about to premiere in London and Manchester. It includes footage of Death team riders Horsey, Boots, Adam Moss, Benson and Death pro Carl Wilson so try to make it to one of the premieres and also pick up a copy from your local skater owned shop as soon as it's released. Click the image if your eyes hurt reading the details. A big congratulations goes out to Death pro Dave Allen and his new wife Joanna on their recent marriage. The couple got hitched without a hitch and the day was one to remember! Here's a few snaps from the big day. Photos courtesy of Cates. OK. 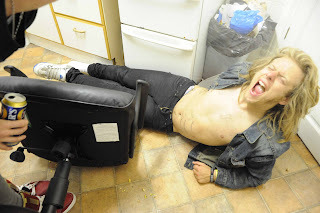 If you wondered what had happened to all the team rider links and the product page link then fear not, everything should be working again properly now! If you didn't even notice that the links were down, then you're not using this blog to it's full capacity. Keep up to date. Horsey, Monk, Tom Booze and myself went to Belgium last month for a weekend. The weather was rubbish so we spent most of the time posing and being fairies in Joe Gray's weird house, which funnily enough is next door to a prison. Enjoy some pictures! With a break in the weather Joe took us to his local park which happens to be massive with a replica pool there as well. Got ferry home and it was snowing. the end.